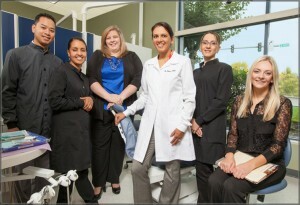 Are you looking for a full-servi ce dentist’s office in Edmonds and surrounding cities? If your answer is yes, your search is over: We invite you to visit our modern clinic for one of the best yet most affordable dental experiences you can find in your area. Our primary goal is not only to provide you with a healthy and beautiful smile that will last a lifetime – with the proper care and maintenance – but also to develop a friendly relationship with each and every one of our patients. This greatly improves our awareness of your individual needs, allowing us to create a personalized treatment plan for every patient, near or far. If you would like to find out more or are ready to schedule an appointment with your dentist in Edmonds, WA, please contact us at Avenue Dental Care today. We look forward to providing all patients across the region with sophisticated dental care for the confident smile that you deserve!